By analyzing over ten trillion advertiser bids running through the PubMatic platform on a monthly basis, we can observe real-time developments in the mobile space that may allude to broader digital industry trends. We can then compare this information to other published data to further understand changes in the mobile landscape. 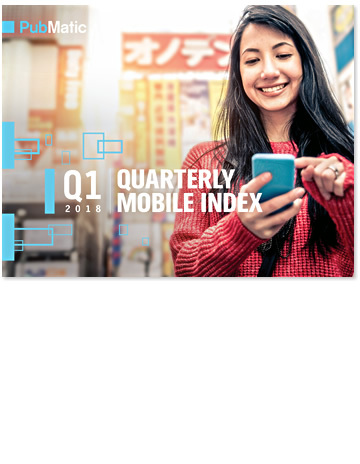 In this report, learn key trends in mobile advertising with several benchmarks around pricing, volume and growth. We are passionate about innovating best-in-class mobile tools and services, and we believe that information sharing is crucial in aligning the digital industry towards best practices and, ultimately, growth in mobile advertising. Thank you. Please click below to download your report.